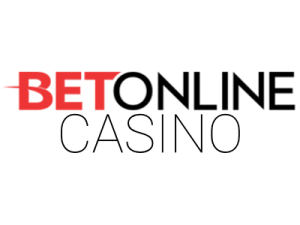 If you are looking for an online gambling site that offers a wide range of casino games, poker, a live casino, and competitive odds on sports, eSports, and financials, look no further than BetOnline where you can find all that and much more. The site was founded in 2004 and has been among the best in the industry ever since. BetOnline offers excellent 24/7 customer support along with attractive bonuses and regular promotions. It doesn’t matter if you are an online casino fan, a sports betting enthusiast or a poker player, BetOnline has a special offer tailored to your playing needs. The site, which is fully compatible with most mobile devices, uses several top software providers to power their multiple platforms. BetOnline is privately owned but it is operated by Blue High House S.A. The site is licensed and regulated by the Panama Ministry of Finance and Gaming Control Board. BetOnline has a sweet welcome bonus for all types of players. Open a new account and you can pick the welcome bonus of your choice when you make your first real money deposit. Be sure to read and understand the terms and conditions that apply to each offer. Unless otherwise stated, players can only take part in one promotion or bonus at a time. Those who want to play at BetOnline’s extensive online casino won’t be able to turn down the 100% Casino Welcome Bonus. BetOnline will 100% match your first three deposits up to $1,000 when you use the promo code BOLCASINO. This gives you a chance to cash in on $3,000 in bonus money. A 40X rollover is required to withdraw the bonus cash. BetOnline has a huge selection of sports betting markets to choose from and punters can immediately boost their bankrolls with the 50% Sportsbook Bonus. Make your first deposit using the promo code BOL1000 to receive a 50% match bonus up to $1,000. Play through the bonus amount 10X to cash it out. Online poker players who make their first deposit will have it matched 100% up to $1,000. Simply deposit funds and send an email with NEWBOL in the subject line to poker@betonline.ag to have the bonus cash credited to your account. The bonus is released in increments of $10 each time you accumulate 5,000 comp points. On top of the great welcome bonuses that are waiting to be claimed, BetOnline also offers loads of regular promotions and reload bonuses to those who play at the casino. Don’t forget to click on the “Contest” tab at the top of the page to see even more ways to win. BetOnline gives you a shot at increasing your account balance every week. Make a minimum deposit of $20 and receive 20% of the deposit amount up to $500. Check the promotions page to find the applicable bonus code and rollover requirements. Even players who have a losing week are winners with the 10% Weekly Cashback on Losses promotion. If you lose $250 or more between Monday and Sunday, you will automatically get 10% of those losses back. Your account will be credited within 48 hours. A 40X rollover is required to cash out the bonus funds. Every month, 100 players will receive a share of the $50,000 Casino Iron Man prize pool. All you need to do is play 5 days in which you turn over $1,000 during each day and you will receive a ticket into the random monthly draw. A $10,000 cash prize goes to the winner while the remaining $40,000 is divided among the next 99 players. Play at the Live Casino between Saturday and Monday for a chance to win $1,000. The five players who play the most hands/spins in the Live Casino win $1,000 worth of Live Dealer chips each. Slot jockeys who rack up the most monthly spins on selected slot games will win a share of the $25,000 monthly jackpot. The top ten players get $500 while 11-50 win $250 and 51-100 win $200. BetOnline gives you a great reason to try their Live Casino right now with the Live Dealer $25 Free Play. Place a $25 bet on one of the Live Casino games and if it wins, then you win. However, if it loses, then you can send an email with “$25 Live Dealer Casino Bet” in the subject line to casino@betonline.ag and they will refund your bet within 24 hours. This offer is only good for your first ever Live Casino wager at BetOnline. Betting on sports is exciting enough but it gets even better when you can cash in on great offers like the ones at BetOnline’s bookmaker. Cryptocurrencies are all the rage these days and BetOnline gives you an incentive to use it with their 100% 1st Time Crypto Bonus. Make your first ever deposit using Bitcoin, Bitcoin Cash, Litecoin, DASH or Ethereum and it will be 100% matched up to $1,000 when you use the bonus code CRYPTO100. Play through the bonus amount 14X to withdraw it. Every time you make a deposit using Ethereum, DASH, Bitcoin Cash, Litecoin or Bitcoin using the promo code CRYPTO35, BetOnline will match it by 35% up to $1,000. One of the greatest things about this promotion is you only need to rollover the bonus amount 14X. Use the promo code LIFEBONUS any time you make a minimum deposit of $50 and you will get a 25% bonus up to $1,000. Skrill and Neteller deposits do not qualify and there is a 6X rollover requirement. The poker room at BetOnline is one of the best on the internet and their regular promotions keep players happy and in the game. Many poker players are familiar with the sickening feeling that comes with taking a bad beat. With BetOnline’s Bad Beat Jackpot, you might actually welcome a bad beat. If your quad Jacks or better loses, you and the rest of the players at the table get a share of the ever-growing Bad Beat Jackpot. Poker players who make their first deposit earn a free ticket into the $10,000 New Player Freeroll which is held on the second Sunday of every month at 5 pm ET. Play in any ring game and earn points to win a piece of the $1,100 daily prize pool. The size of the prize, which will range between $10 and $200, depends on the stake sizes. Freerolls are a great way to build your bankroll without risking anything other than a bit of time. This speedy freeroll starts at 5 pm ET every Monday and it lasts just one hour. The winner gets $250 worth of casino chips while the remaining $2,750 in casino chips is distributed among the other 49 top finishers. BetOnline’s casino boasts a massive collection of popular games that were created by some of the most respected software developers in the business. When you land on the casino’s main page, you can find your favorite game by clicking on the categories near the top of the page. Some of BetOnline casino’s most popular games are listed under the “Featured” tab. A mix of new releases like FruitBAT Crazy, Carnival Forever, and Pompeii along with older games like Faerie Spells, American Blackjack, and Dragon King are right here. Click on the “Table Games” to play several variants of classic table games like Blackjack, Craps, Baccarat, Roulette, and casino card games including Pai Gow, 3 Card Poker, and Caribbean Stud. There are so many slot games at BetOnline that it will make your head spin. You will find new titles like Blood Money, Fruit Loop Reboot, and Fortunes of China along with other popular games like ChilliPoP, Reels of Wealth, and Dragon Kings. Click on the “Video Poker” tab if you want to play games like Deuces Wild, Joker Poker, Jacks or Better or any of the dozens of video poker titles. This category contains a great variety of games like Keno, scratchcards, and Virtual Racebook 3D as well as video bingo. Blackjack is one of the most popular casino offerings on the planet and BetOnline’s Live Casino has 10 live tables with stakes ranging from $5 to $5,000 per hand. Play American Roulette and European Roulette for as little as $1 or get in on the exciting Baccarat action. Super6 table hosts can deal you in for as little as $5 or as much as $5,000. BetOnline has one of the biggest selections of payment methods in the industry which makes it convenient to make a deposit or withdrawal wherever you may live. All transactions are 100% secure. Cryptocurrency users can make a deposit using Bitcoin, Ethereum, Litecoin or DASH while those who prefer credit cards may use Visa or MasterCard. Skrill, Neteller, ecoPayz, and entropay are accepted as are Person to Person, Money Orders, Bank Wire, Cashiers Check, and Secure Voucher. Check the banking section at BetOnline to find out about deposit limits and processing times. To make a deposit, log in to your account, click on the “Cashier” tab at the top of the page and then select “Deposit”. You will need to choose a payment method, deposit amount, and enter any applicable promo codes. The funds should appear in your betting account as soon as you confirm the transaction. Players can make withdrawals using Bitcoin, Ethereum, DASH, Bitcoin Lite, and Litecoin cryptocurrency or they can use Neteller or Skrill. Person to Person, Money Orders, Check Express, Bank Wire Transfer, and Credit Card are also options. Check the banking section for withdrawal limits and processing times. You can make a withdrawal by selecting “Withdraw” in the cashier section. Simply choose your payment method, enter the withdrawal amount, and then confirm the transaction. BetOnline is proud to have some of the fastest withdrawal processing times. BetOnline has an informative FAQ section that addresses a lot of common questions. If you are unable to find what you are looking for in the FAQs, BetOnline’s helpful team of customer service agents are standing by 24/7. General inquiries should be sent to cs@betonline.ag. Casino questions can be sent to casino@betonline.ag and poker emails will be received at poker@betonline.ag. Players may also use the “Live Chat” function to instantly connect or they can call 1-888-426-3361 at any time. Feel free to follow BetOnline on Instagram, Twitter or their RRS feed. 1. Is BetOnline compatible with mobile devices? Yes. When you go to BetOnline using your iPhone, Blackberry or Android device, you will be automatically redirected to mobile.betonline.ag where you have full access to the site and all its features. The site is configured for mobile devices so you need not download an app. 2. Can I increase my deposit limit? Yes. Simply send a scanned copy of a piece of official ID to confirm your age and identity along with a utility or bank statement that verifies your address to documents@betonline.ag. Once this is complete, you may request that your deposit limits be raised. 3. When are payouts processed? BetOnline processes payout requests Monday through Friday between 9 am and 1 pm ET. 4. Can I update my personal information? Yes. You should update your personal information whenever your circumstances change. Simply contact documents@betonline.ag with copies of supporting documents such as a new utility or wireless bill to confirm a new address.